Mechanical thinning and controlled burns are an important tool in the Ashland Forest Resiliency Project. Monitoring the health and growth of large, old legacy trees is an important part of evaluating the efficacy of this type of management. Reed students are helping with this monitoring effort by collect and analyzing data on Legacy tree survival and growth. Plant hydraulic traits are emerging as an important way to measure the effects of prescribed fires on forest ecosystems. 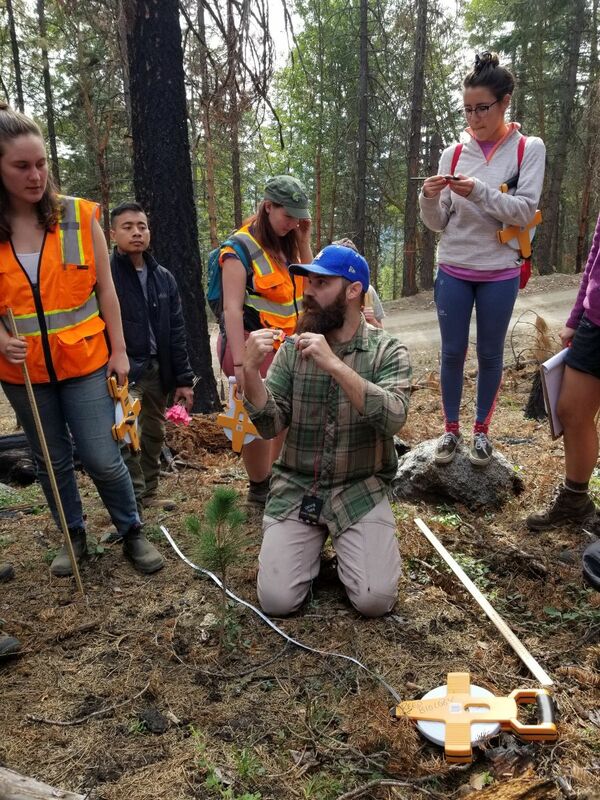 Reed students are developing novel ways to measure “Heat-plume induced embolism” and other plant traits in the Ashland Watershed. Foresters bred sugar pine seedlings that are resistant to fungus. Students with Reed College planted 1000 disease resistant Sugar Pines into managed areas in the Ashland Watershed. Recent data indicates the sugar pine seedlings had a high survival rate. 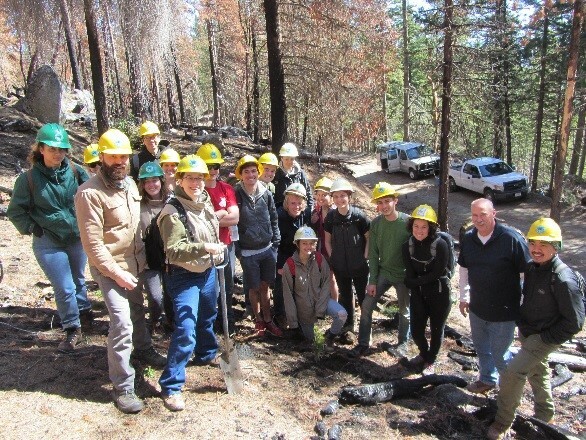 On Earth Day, Reed College Students and Stewardship Coordinator Don Boucher with the Rogue River-Siskiyou National Forest planted 1000 sugar-pines.